Eastleigh’s MP Mims Davies, visited the Hedge End headquarters of GDC Group, where she learned about the company’s ambitious growth plans and how its latest heating technologies are helping to lower fuel bills. GDC Group leads the way for product innovation and Mims Davies was given a tour of the company’s HQ, which includes a product showroom, training facilities and call centre. 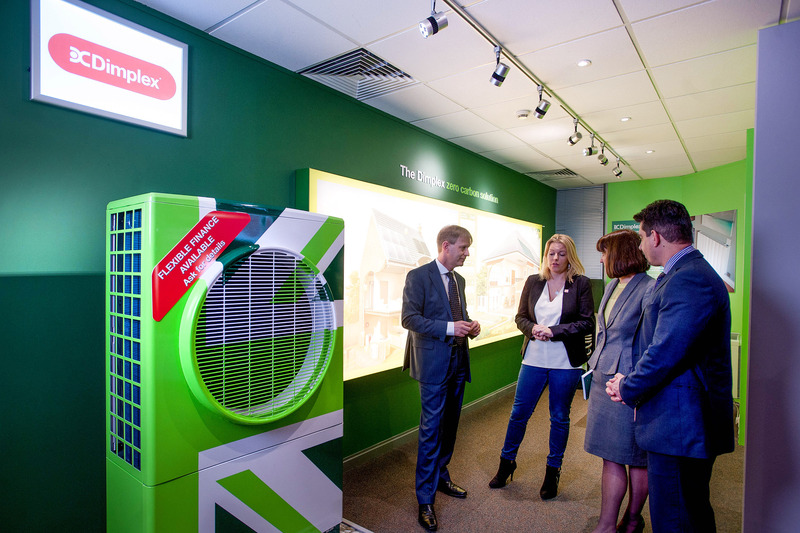 She was introduced to products such as the Dimplex Quantum heating system, which has the potential to significantly reduce heating bills for electrically heated homes, the class-leading Dimplex A-Class air source heat pump and the Free-E energy management system which works with a homeowner’s solar PV kit to heat their hot water cylinder for free. With research, design and manufacturing facilities located in the British Isles, GDC Group incorporates household heating brands Dimplex, Creda, Valor, Robinson Willey and Faber, offering domestic and commercial electric heating appliances, portable heating, gas fires, electric fires and renewable technologies such as heat pumps. Based in Grange Drive, the group employs around 200 people from the local area.